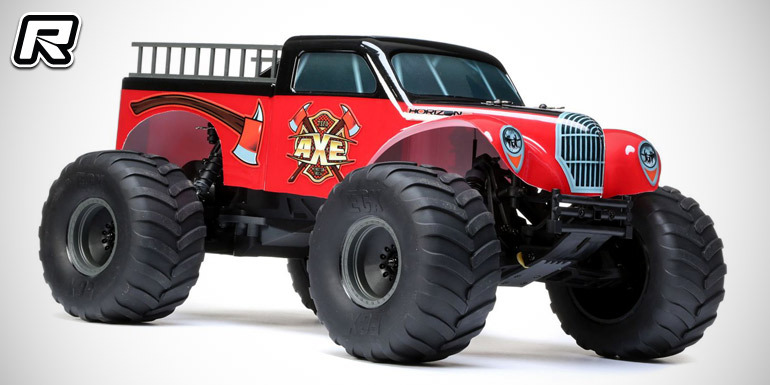 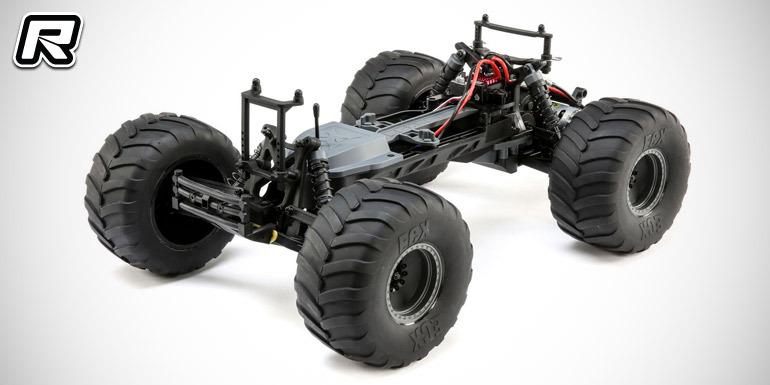 Horizon Hobby have introduced the new ECX Axe 1/10 2WD monster truck. 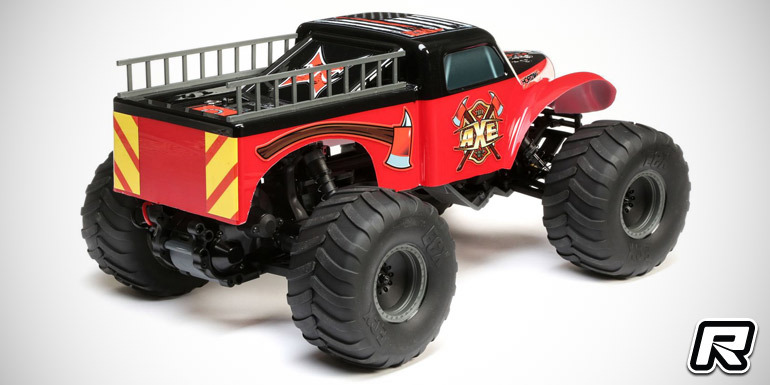 Featuring a licensed Avenger monster truck body, wheels and tyres, this merciless savage doesn’t back down from careening over rough terrain and is just as intimidating on the neighbourhood blacktop. 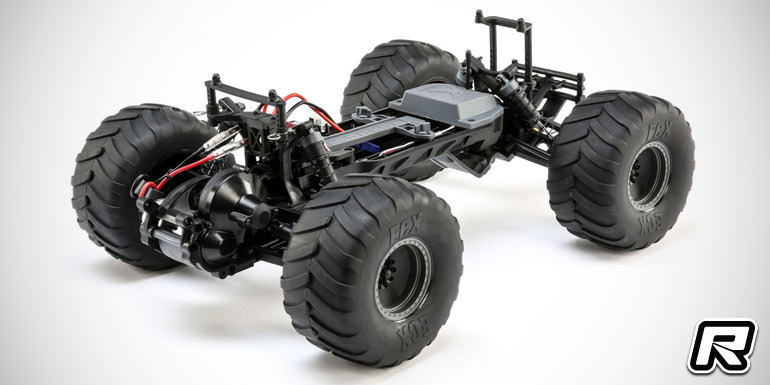 The truck features sturdy suspension components, adjustable oil-filled shock absorbers, as well as aggressive Chevron monster truck wheels and it comes factory-equipped with a Spektrum STX2 2-channel 2.4GHz FHSS radio system, a Dynamite 12T brushed motor, and a WP 60A Fwd/Rev brushed ESC.